It can be quite an annoyance to find an old stain reappear after you’ve spent time on your hands and knees in an attempt to clean it up. Having carpet in our homes has many benefits but maintaining them can be a whole different story. Knowing how to properly treat different types of stains along with frequent vacuuming and regular professional carpet cleaning will keep your carpets looking newer, longer. Today, Heart of Texas Chem-Dry will be discussing what causes those pesky, annoying stains to keep reappearing and how to treat them. Dark Edges & Black Lines on Carpet? Filtration & Soiling! We all have good intentions when we go to the store to look for spot cleaners. Maybe we saw something on a commercial that caught our eye, or a neighbor recommended a miracle in a bottle to clean those pesky stains that inevitably happen in a busy home. Certain types of carpet cleaning solutions leave an invisible, sticky residue behind when they are not fully rinsed and blotted after cleaning. This residue then becomes a magnet to dirt and other contaminants that stick to the spot that was originally treated, making it appear that the stain has reappeared. 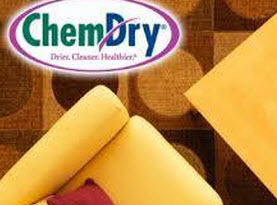 This is a very common problem and here is what Heart of Texas Chem-dry recommends you do to fix it. Your going to want to rinse any remaining cleaner from the affected area. First, get a cup of lukewarm water. The amount you will need depends on how big the soiled area is, but it’s important to note that you don’t want to soil the affected area, or wicking may occur. Use just enough water to dampen the area. Then, using a clean, dry cloth, generously blot the area until it is as dry as possible. Then, use another clean cloth to place over the area and place something such as a box or some books on top of the spot over night to finish drying out the area. This is what happens when a spill or other stain happens and it ends up soaking through the carpet onto the backing of the carpet or worse, into the carpet’s under pad. 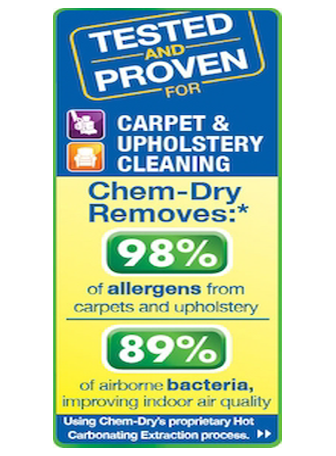 When you spot clean, you’re really only cleaning the top layer of the carpet, or what you can see. After you’ve treated the stain, you’ll leave it and a day or two later the spot reappears. This is because the substance that caused the stain is trapped deep in the under pad or carpet backing and it gets reabsorbed back into the carpet fibers after its been cleaned. People or pets walking across the spot while it’s still wet only makes this process go faster. This is especially common when you rent a commercial steam cleaner to clean your carpets, only to find your carpets get too wet and take days to dry. These commercial cleaners just aren’t powerful enough to extract the excess water left behind, leaving your carpets looking dirtier than they were before. If wicking seems to be the problem you’re facing, then we recommend using an all-purpose carpet cleaning solution to spot treat the area, followed by a good blotting with a clean, dry cloth to remove any remaining moisture. Then, leave a new clean, dry cloth on top of the affected area overnight to dry out any remaining moisture. 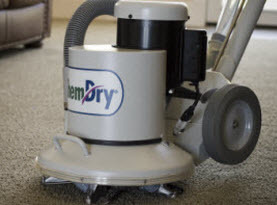 If the stains seem to be too stubborn to remove on your own, or you’ve found yourself in a situation where your carpets got too wet during a DIY cleaning, your best choice is going to be to call in Heart of Texas Chem-Dry, or another reputable carpet cleaning company in your local area to clean, sanitize and remove excess moisture in your carpets before mold or mildew set in. 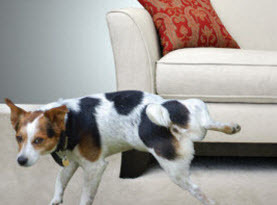 If you need assistance with stubborn stains or wicking, give us a call, we’ll help you get your carpets back to normal!